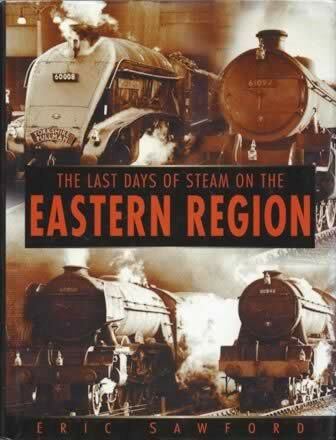 The Last Days of Steam on the Eastern Region. This book has been written by Eric Sawford and publshed by Sutton Publishing. A scanned image of the front cover is shown for your information and if you click on this a scan of the inside sleeve from the book will be displayed.